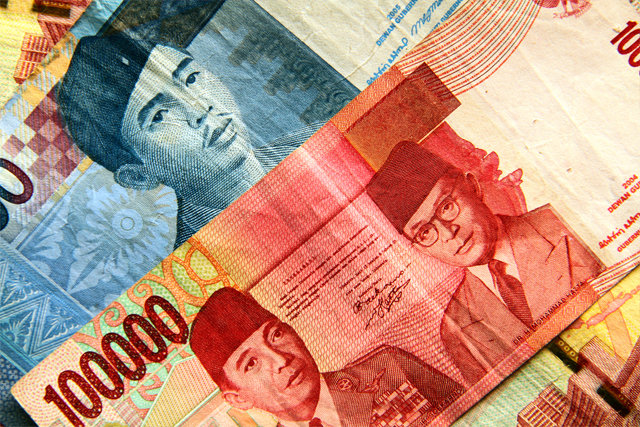 The Indonesia Rupiah is also called IDR. Information of daily exchange rate can be found in newspapers or from the net. Some Indonesia banks provide this on their websites. IDR and US$ are the most acceptable currencies. Most tourism resorts have money changer facilities. When you are travelling to remote areas it is advisable to exchange your money and clear your check. Credit cards are only acceptable in big hotels, restaurants, shops and travelling agencies. The import and export of local currency is limited to Rp5,000,000, amounts more than that must be declared. The import and export of foreign currency is unlimited. However, amounts exceeding the equivalent of Rp100,000,000 must be declared. American Express, MasterCard, Visa, Diners Club and Eurocard are widely accepted in Jakarta and the main tourist areas. In more remote areas, it is best to carry cash in small denominations. ATMs are available in towns. ATMs are available in cities and larger towns. There is limited merchant acceptance but they can be exchanged at banks and larger hotels, although they are becoming less common and more difficult to exchange. 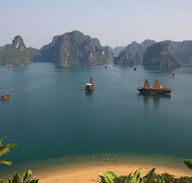 To avoid additional exchange rate charges, travellers are advised to take traveller’s cheques in US Dollars. American Express is the most widely accepted. Smile, smile, and smile. And bargain for only what you really want to buy.. Rely and use body language for up to 80% of the bargaining. The more subtle and vague you can be, the better your position is. Do not be firm about your limit or indicate your real intention. Avoid open confrontation at all cost. If unfortunately it escalates to one, your chance of a good bargain is ruined already and it is best to just do not buy there and go look somewhere else. The less words you say, almost always the better. Even if you can’t speak much Indonesian, just smile and repeat: “more” and point down with your hand (to indicate I want more bargain/can you lower more). To disagree, move your head from right to left, or even pout a little, but try not to say loudly: no, no, no. Health insurance, including emergency evacuation, is absolutely essential. Doctors and hospitals expect cash payments for any medical treatment. The cost of medical evacuation is high. It is suggested that any visitors bring adequate supplies of any essential personal medication, since that medication may not be available in Indonesia. 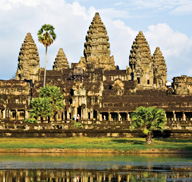 Travellers should be inoculated against typhoid, cholera, hepatitis A and B, tetanus, and polio. Malaria and dengue fever are present in Indonesia, and it is advisable to take precautions. It is essential to have a good medical insurance that covers the cost of an evacuation flight. No vaccinations are required except for yellow fever if you are coming from an area where the disease is present. However visitors should be vaccinated against typhoid, cholera, hepatitis A & B, tetanus and polio. Malaria is present in most of the region and it is advisable to take precautions especially if travelling off the beaten track. The standard of medical facilities is generally good and Bali has an international hospital to support the tourism industry. Remember to wash your hands often with soap and water, especially before eating. Indonesia is generally a safe country to visit, though you should never leave your belongings unattended and always beware of touts in tourist areas. Air transportation in Indonesia serves as a critical means of connecting the thousands of islands throughout the archipelago. Jakarta’s Soekarno–Hatta International Airport serves as the country’s main air transportation hub. Indonesia’s transport system has been shaped over time by the economic resource base of an archipelago with thousands of islands, and the distribution of its more than 200 million people highly concentrated on a single island which is Java. All transport modes play a role in the country’s transport system and are generally complementary rather than competitive. Road transport is predominant, with a total system length of 437,759 km in 2008. The railway system has four unconnected networks in Java and Sumatra primarily dedicated to transport bulk commodities and long-distance passenger traffic. Sea transport is extremely important for economic integration and for domestic and foreign trade. It is well developed, with each of the major islands having at least one significant port city. The role of inland waterways is relatively minor and is limited to certain areas of Eastern Sumatra and Kalimantan. The function of air transport is significant, particularly where land or water transport is deficient or non-existent. It is based on an extensive domestic airline network where all major cities can be reached by passenger plane. A wide variety of vehicles are used for transportation on Indonesia’s roads. Bus services are available in most areas connected to the road network. Between major cities, especially on Sumatra, Java, and Bali, services are frequent and direct; many services are available with no stops until the final destination. 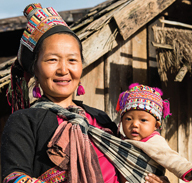 In more remote areas, and between smaller towns, most services are provided with minibuses or minivans (angkut). Buses and vans are also the primary form of transportation within cities. Often, these are operated as share taxis, running semi-fixed routes. 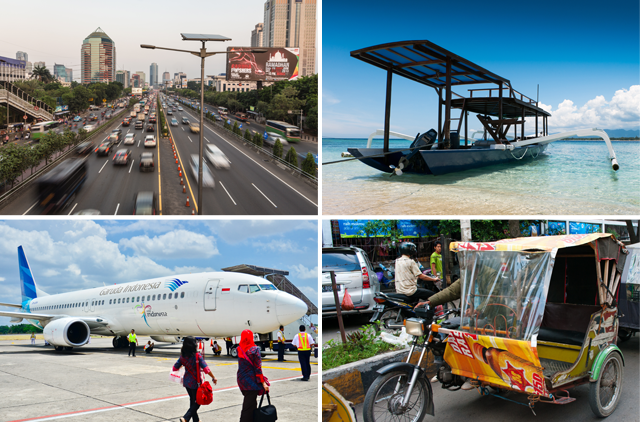 Many cities and towns have some form of transportation for hire available as well, such as taxis, bus rapid transit system (such as TransJakarta), and motorized autorickshaws (bajaj). Cycle rickshaws, called becak in Indonesia, are common in many cities, and provide an inexpensive form of in-town transportation. They have been blamed for causing traffic congestion and banned from most parts of central Jakarta. Horse-drawn carts are found in some cities and towns. Due to the increasing purchasing power of Indonesians, private cars are becoming more common especially in major cities. However the growth of the number of cars increasingly outpaces the construction of new roads, resulting in frequently crippling traffic jams in large parts in major cities especially in Jakarta, which often also happen on highways. The AH2 highway is one of Indonesia’s main highways. The other one is AH25 in Sumatra. Indonesia has about 213,649 km of paved highways and about 154,711 km of unpaved highways (As of 2002 estimate). Indonesia has some highways, some of them are National Routes (25, currently only in Java), and some of them are freeways. All the freeways are tolled (toll road). The most expensive is the Cipularang Toll road that connects Jakarta and Bandung. For land transportation (including trains), Indonesia will adopt an intelligent transportation system (its) gradually since 2012. Its Indonesia was formed in April 26, 2011. Indonesia has had a complex history of communications due to its spread over an extended archipelago – the importance on non-electronic means in the past has given away to a considerable infrastructure of telecommunications in the contemporary Indonesia. Indonesia has long since been using traditional forms of splayed communications between various islands and villages. It was not until the sixteenth century when the Dutch colonized Indonesia, constructing a more elaborate communication system, both within Indonesia and to other countries. The first connection to Australia was an undersea telegraph cable that was completed on 18 November 1871, connecting Java to Darwin, and eventually to the Australian Overland Telegraph Line across Australia. After gaining Independence, Indonesia started to develop its own communication system, generally following the rest of the world. The construction of communication towers and launch of the Palapa series of communication satellites was done during the New Order period. A number of lines connect Indonesia to international communication routes. 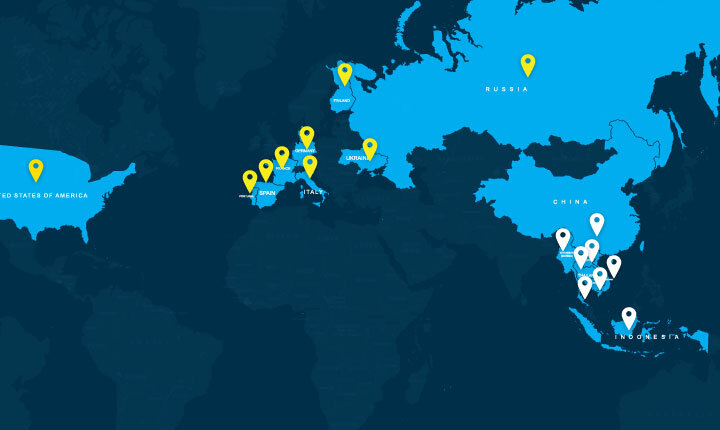 For example, the SEA-ME-WE 3 optical submarine telecommunications cable lands at both Medan and Jakarta connecting Europe with South eastern Asia (several countries up to Japan) and Australia (Perth). Domestically, Indonesia has good coverage for media across most major islands, although smaller and less populated Islands do not always receive attention from media companies, and rely on satellite communication. Indonesia has a vast list of printed media, in the forms of newspapers or magazines. Some, such as Kompas and Koran Tempo are circulated around Indonesia daily and are relatively simple to obtain. Others are island- or city-specific, and is usually not distributed to other regions. Television in Indonesia began on August 24, 1962 in Jakarta with the state-run station, TVRI, which began broadcasting on the seventeenth anniversary of Indonesian Independence. It held a television monopoly in Indonesia until 1989, when the first commercial station, RCTI (Rajawali Citra Televisi Indonesia) began as a local station and was subsequently granted a national license a year later. Each of the network has a wide variety of programs, ranging from traditional show, such as wayang performance, to programs like Indonesian Idol that are based on Western models. One typical television show of almost every network is sinetron. Sinetron is usually a drama series, following the soap opera format, but can also refer to any fictional series. Sometimes it can be comic, like the popular Bajaj Bajuri series, featuring a bajaj (a taxi-like tricycle) driver and the people he drives around. Terrestrial TV started with the establishment of the first television station in Indonesia. Indonesia only has one channel until the establishment of RCTI, first private television in Indonesia. Currently, the major nationwide television station in Indonesia are RCTI, MNCTV, SCTV, ANTV, Indosiar, MetroTV, Trans 7, Trans TV, TvOne, and Global TV. Since Q1 2011 the authority allow (Indonesian) digital television simulcast with analog television in some area. Indonesia adopted DVB-T format but decided to change to DVB-T2 in February 2012. Satellite television has been available in Indonesia since Indovision incorporated on August 8, 1988. Since then, technology for satellite television has changed from analogue to digital. Satellite television in Indonesia using DVB-S format. Up to now, there are more than five satellite pay TV operators: Indovision, TOP TV, TelkomVision, Yes TV, Aora TV, and OkeVision. Satellite television is available nationwide. PT Broadband Multimedia Tbk is the first operator for cable TV in Indonesia under the brand name Kabelvision in 1995. In 2006, the company launched Digital 1 along with the technology changed from analogue to digital. The company then change the name of the company to PT First Media Tbk in 2007 and also launched new brand, name First Media. Cable TV now is only available in Jabodetabek area and Surabaya. Cable TV in Indonesia is using DVB-C format. Internet in Indonesia is a relatively new communication media in Indonesia, an archipelago that spans over more than 17,001 islands. Several internet services are available in Indonesia, ranging from ADSL to mobile internet. Telephone line-based internet service was among the first internet service in Indonesia with PT Telkom as a main player who controls most fixed telephone line networks. Based on Communication Ministry data, at end of June 2011, there are 45 million internet users in Indonesia, which 64 percent or 28 million users on the age of 15 to 19. All of the GSM major cellular telecommunication providers offer the high-speed mobile internet service 3G and even 3.5G HSDPA, but only in the big cities (greater Jakarta and Surabaya). They include Indosat, Telkomsel, Excelcomindo (XL) and 3. Also, the usage of EV-DO has been applied into service by Indonesian CDMA cellular provider, which includes Mobile8, Indosat, Esia, Smart, and Telkom Flexi. Nasi goreng (fried rice), mie goreng (fried noodles) and gado-gado (vegetables topped with peanut sauce and sliced boiled egg) are some of the typical Indonesian dishes. 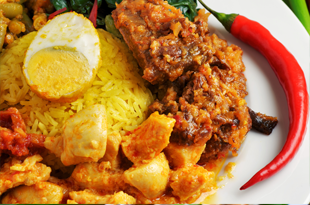 Some of the major fruits found in Indonesia are jackfruit, durian, star fruit, papaya, pineapple and mango.As Indonesia is an archipelago, fish is one of the favourite food items and various types of fish feature prominently in the diet. 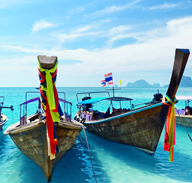 Seafood is found in abundance and has great variety such as lobster, oyster, prawns, shrimp, squid, crab, etc. Coconut is ubiquitously available and apart from being used as cooking oil its milk and pulp is used as an ingredient in many dishes. Beef and chicken are widely available; pork is only found in Chinese restaurants or in non-Muslim regions. Coconut, chilli, soy sauce and peanut sauce are common flavourings. Some of the major fruits found in Indonesia are jackfruit, durian, star fruit, papaya, pineapple and mango. 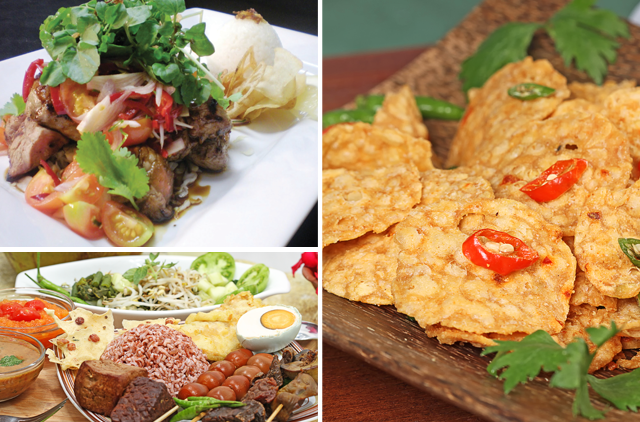 Besides traditional Indonesian food, Chinese and Continental dishes are also hugely popular in Indonesia. Many popular fast food joints have also established their chains in major cities of Indonesia. New Year’s Day: this day is celebrated with parties and entertainment. 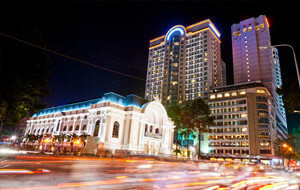 If you are in a major city, you’ll find festivities in hotels, discos and restaurants. Chinese New Year (Imlek): those of Chinese decent celebrate the coming of the new year with a 15-day celebration. 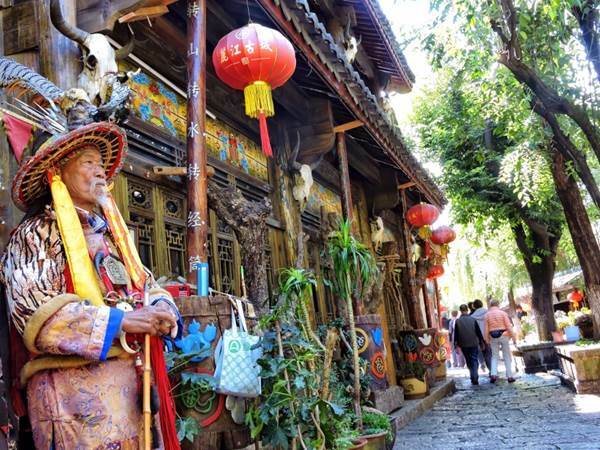 Observers of the holiday typically visit relatives during this time, purchase new clothing and decorate their houses with red-coloured decorations to signify good luck. Balinese New Year (Hari Raya Nyepi): known as the ‘Day of Silence’ in English, this is a day for quiet meditation and reflection. Lasting 24 hours, observers of Hari Raya Nyepi must abstain from all pleasure-giving activities including talking and eating. Travelling is not permitted on this day, even by visitors, who are restricted to their hotels. Ibu Kartini Day: this day marks the birthday of Raden Ajeng Kartini, a Javanese leader in the women’s rights movement in Indonesia. On this day, activities created by women’s groups are enjoyed and schools host national dress competitions. National Education Day (Hari Pendidikan Nasional): is a celebration of the Indonesian educational system. Schools across the country host celebrations. National Awakening Day (Hari Kebangkitan Nasional): this holiday marks the five basic principles (Pancasila) that make up the Indonesian State Philosophy. Ceremonies are held at government offices and schools. 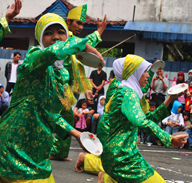 Jakarta’s Anniversary (Ulang Tahun Jakarta): marks the founding of the city of Jakarta in 1527 with the Jakarta fair. 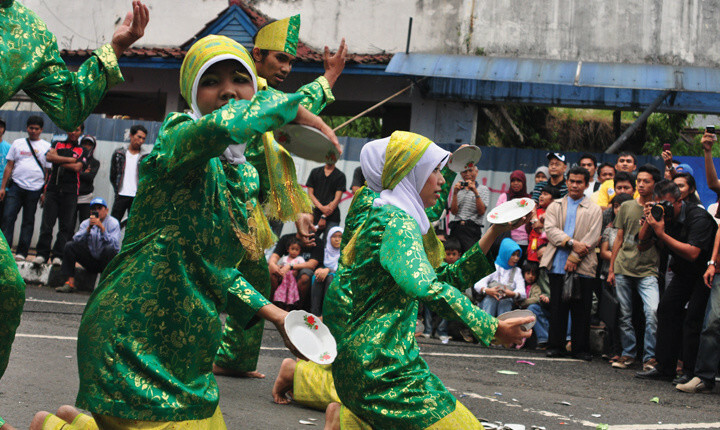 There are performances of the culture of the Betawi (Jakarta locals) around the city. Independence Day (Hari Proklamasi Kemerdekaan RI): held on the 17th August, this day commemorates independence from Japan in 1945. Military parades typically take place in the larger cities, as do firework displays. Ramadan: this Islamic holiday is observed by all Muslims through prayer, fasting, acts of charity and religious observance. Lasting one month, worshippers must abstain from eating during daylight hours and as a result, many businesses close during Ramadan. Armed Forces Day: highlights the achievements of the Indonesian Armed Forces and is marked by celebrations, especially in and around military bases. Youth Pledge Day (Hari Sumpah Pemuda): marks the pledge and unification in 1928 of Indonesian youths against the Dutch. Hero’s Day (Hari Pahlawan): reverent ceremonies are held at national cemeteries around the archipelago to celebrate heroes who fell in Indonesian history. Heroes are remembered through a variety of activities. Mother’s Day (Hari Ibu): this is a special day dedicated to celebrating the role of mothers in the community. 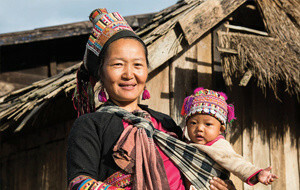 Celebrations include activities honouring mothers and women in general. Christmas (Hari Natal): with much of the population being Christian, Christmas is widely celebrated in Indonesia. Those who observe this day commonly exchange gifts and attend midnight mass. The island of Java is a good shopping base. Jakarta in particular has an array of mega, air-conditioned malls; jam packed with every international brand known to man. The world’s fashion capitals are well condensed into upscale shopping malls, compact with sharp Italian tailoring, romantic French ensembles and innovative Japanese labels. It is easy to get sidetracked by these shops but it would be a serious mistake not to become acquainted with some of the home-grown produce of Indonesia. Highly-skilled artisans produce painstakingly beautiful textiles, silver goods, dynamic ceramics and furniture pieces that are unique in style and of an admirable standard of quality. Perfect presents for loved ones or a well deserved treat for yourself. Mon-Sun 0900-2100; some shops have shorter hours on Sundays. 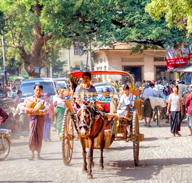 Most local markets open either very early in the morning or at dusk. In the smaller towns, shops may close between 1300 and 1700. 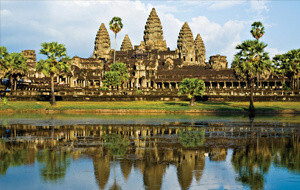 Indonesia is famous for its beautiful local crafts and handiwork, from leather goods and silver to art and wood carvings. 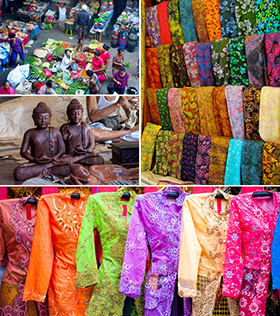 The best places to score some excellent Indonesian arts and crafts would be at local markets and from street vendors, where you can even bargain down further the already-low prices. In Yogyakarta, you can find plenty of good leather crafts such as the exotic wayang kulit (shadow theatre) puppets, as well as bags made of natural fibres, silver and batik. 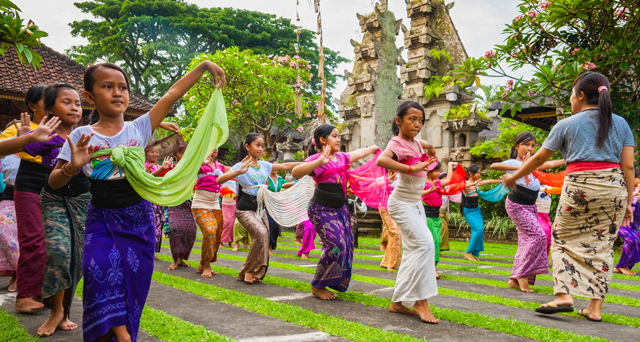 Lombok and Surabaya are the most popular for hand-woven cloths and traditional textiles, while Papua and Bali are more well-known for their intricate wood carvings and sand sculptures. 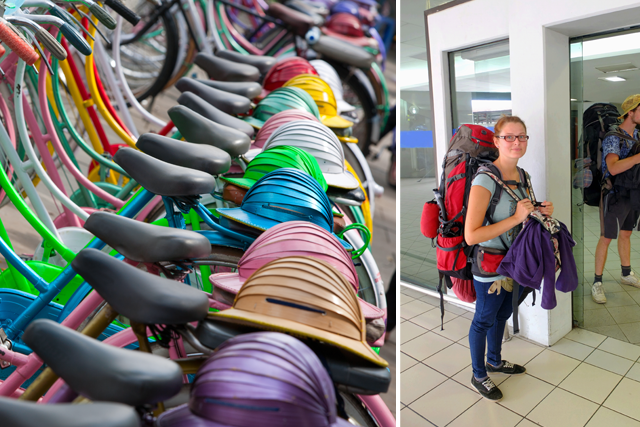 To get a better deal on these items, head out to smaller, more remote towns, and avoid big cities and touristy areas where prices are likely to be hiked up. 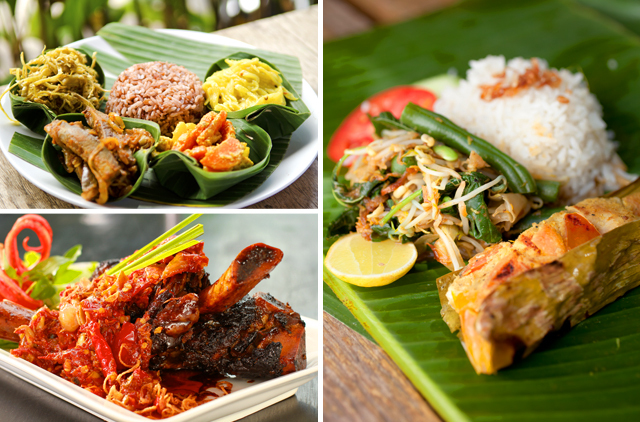 For a one-stop destination for all things local, nothing beats Bali for quality and variety. Every village on this island is unique in terms of items for sale, where the goods differ from one village to another. Indonesian batik, with its gorgeous patterns and delicate details, is recognised the world over for its elegant beauty. Geometric patterns and motifs of flowers, leaves, birds and butterflies are printed onto finely-woven cotton in shades of brown, cream and indigo, and sometimes interspersed with bright colours such as yellow, green and red. There are two types of batik, batik cap (the printed batik – where motifs are stamped onto the cloth repeatedly) and batik tulis (hand-drawn batik – where motifs are drawn onto the cloth by hand using the canting technique), with the latter being more expensive than the former. Yogyakarta and Solo are the centres of traditional Indonesian batik, while the town of Pekalongan is the leader in the production of stunning hand-drawn batik. Smile, smile, and smile. And bargain for only what you really want to buy.